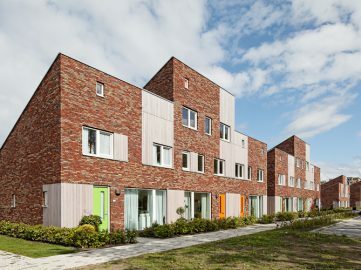 B+O Architecten made a design for the completion of the replacement new construction at the Gemeenteweg in Staphorst. The starting point here was the rebuilding of the existing volume and the addition of a farm volume behind it. 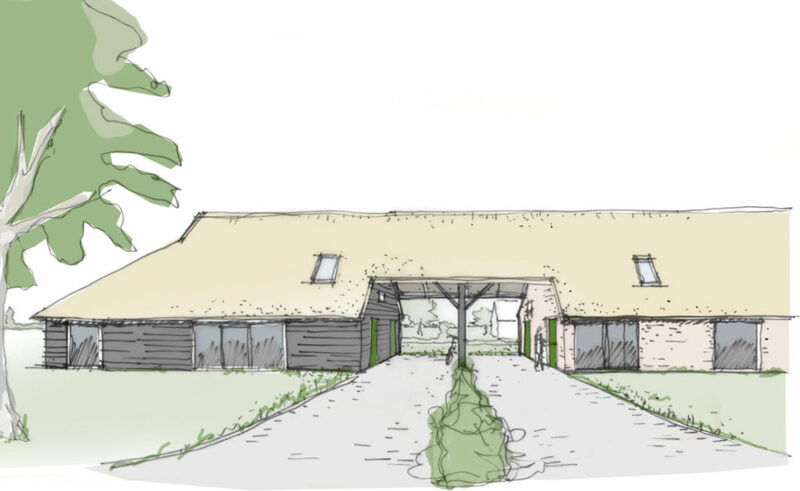 In the plan, the old function of the farm will disappear to make room for houses. 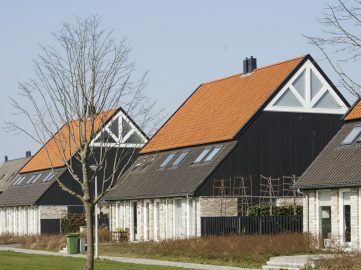 The municipality of Staphorst has indicated, on the basis of the ‘open spaces policy’, that an additional farm volume is possible. 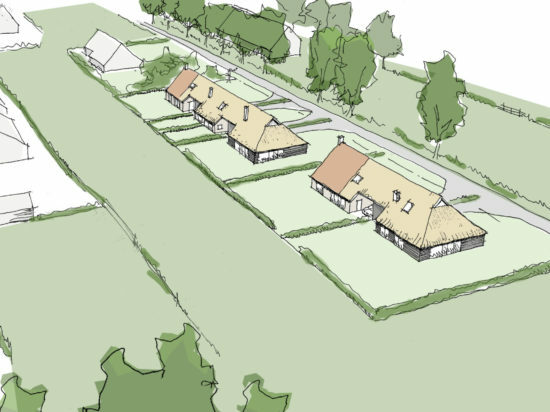 This is in line with the Staphorst tradition to build the farms behind one another and at a right angle to the Gemeenteweg. The new construction of four houses has been allowed. In addition, the municipality decided that the old volume has to be rebuilt when building new construction. This old volume alone could include four houses. 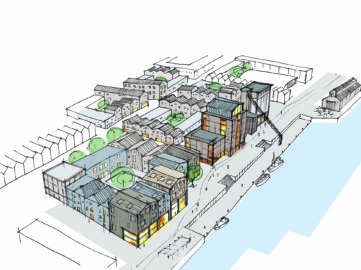 However, the clients preference is to build two separate semi-detached houses, instead of one large volume. 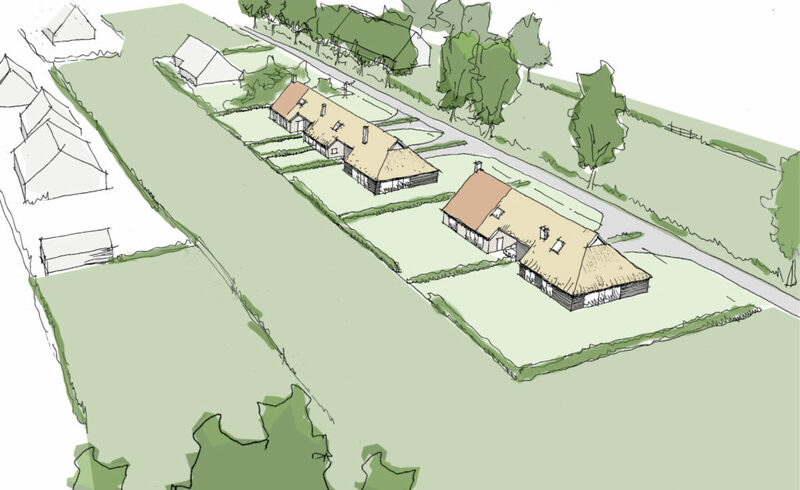 In order to rebuild the old volume anyway, B+O Landschap en Stedenbouw proposes two starter homes, positioned in the middle of the volume of the old farm. This way, starters are offered an opportunity to live in Staphorst and at the same time, the scale of the old farm is preserved. Furthermore, the old structure of the landscape has been restored in the plan. The new construction is deliberately closer to the Gemeenteweg, creating a green corridor behind the buildings, while the slightly staggered buildings fit better within the morphology of Staphorst at the same time. 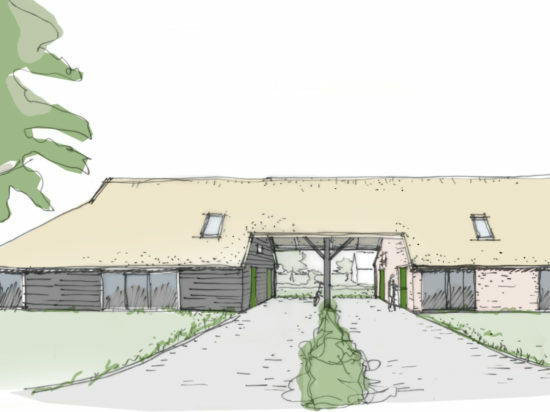 The architecture of the proposed farm types are characterised by the division in a front and rear annex. The front annex is traditional in terms of window distribution and materials, while the rear annex is more modern in this respect. There will be room for larger window surfaces in the rear annex, for an optimal experience of the surroundings. At the same time, the rear annex is constructed in characteristic and calm materials, which makes it integrate with the front annex.